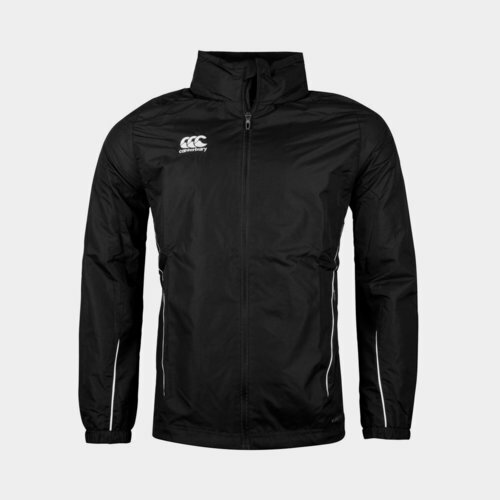 The ideal garment to wear to training or simply out and about, make sure you stay comfortable and dry in this Canterbury Team Full Zip Rain Jacket in Senior Black. This rain jacket from Canterbury is a sure to keep you warm, comfortable but most important dry thanks to the Vaposhield technology it's made from. The full zip allows for the wearer to decide how snug and tight the fit is. The concealed hood is perfect as this jacket can also be worn as a wind protection jacket when necessary and not only a rain jacket.